The club is extremely fortunate to have the expert guidance and leadership of Bill Duley, who was selected a National Top High School track coach in 2000. 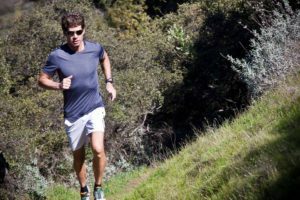 He has 27 years of coaching experience from the youth level to Olympic Trials Qualifiers, and from beginner to advanced runners. 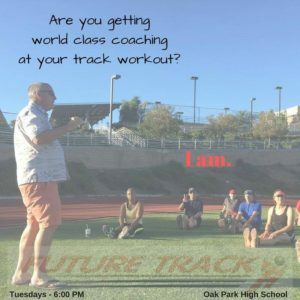 There are a number of beginning runners at each Tuesday track workout, and Bill works individually with them so they can complete the workout at a comfortable pace. Bill is dedicated to helping all runners succeed, and the club members are welcoming to runners of all levels, so don't be intimidated by the “fast” runners! All the club members are here to help you succeed. Please call (818-991-4786) or email (AskCoachBill@aol.com) with questions. Our club has the participation of a professional sports chiropractor, certified athletic trainer and talented runner who provides the members with advice and care.